It gave me the chance to learn about all the different career paths that are available in my field of study – both in theory and in practice. 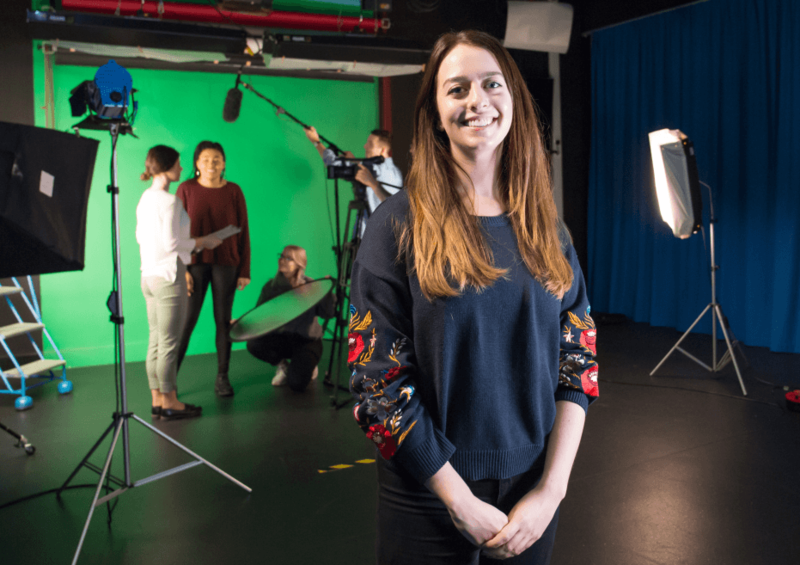 I always knew that I wanted to work in Media but throughout the past years at GCU I have gained valuable industry insights due to the degree’s versatility – something that stood out to me when I first applied to study here and set GCU apart from other universities. As an EU student, GCU’s location was also very appealing to me as Glasgow is an international and vibrant city. To make as many professional industry connections as possible and meet new people from different backgrounds and countries. I think that going to university gives people a chance to connect with like-minded people who are interested in the same things but there are also many opportunities to extend social circles and in turn have a big and versatile group of friends as well as future industry connections. My biggest lesson learned is that if you put in the work you will also get the rewards – something I think will prove to be valuable once I manage to secure a job after graduating. Another thing would be that it doesn’t matter who’s opposite you, the other person will always know something that’s new to you – we can benefit and learn from meeting all types of people, something that GCU definitely makes possible. I definitely believe that GCU is the University for the Common Good, especially in terms of versatility. In my degree and throughout the whole university it’s obvious that there are people from a multitude of countries and many are from different cultural backgrounds. This enables a unique exchange between students and definitely makes everyone feel more included. In arguably difficult political times it’s nice to see that GCU values inclusivity and diversity. I don’t think I could name just one person who inspires me but rather traits I admire in people. A person inspires me when it’s obvious that they’re passionate about the thing they do and they stand up for others and themselves. I’m inspired by people who always see the positive side of things and care about others while still pursuing their own aspirations in life. My next step is going to be applying for jobs for when I graduate next year. I’m currently looking for jobs that I can apply to here in the UK but also back home in Germany as I’m not sure yet where I want to live after I have finished university and want to keep my options open. I would definitely say that my ambitions have changed over the past few years. Before I started university I didn’t really think about having a big career as I’m from a small town that is very removed from the media industry. Over the course of the degree, however, I have recognised the many opportunities I have been granted and that an ambitious career is exactly what I want and can achieve if I work for it and stay true to myself and my passions. Right now you’d be most likely to bump into me in the Saltire Centre, surrounded by people, having a chat and a coffee and just catching up. As a fourth year student I don’t have as many modules in common with my friends anymore and we spend a lot of time working on different, individual projects outside university. Therefore, we try to spend as much time together on breaks between classes.